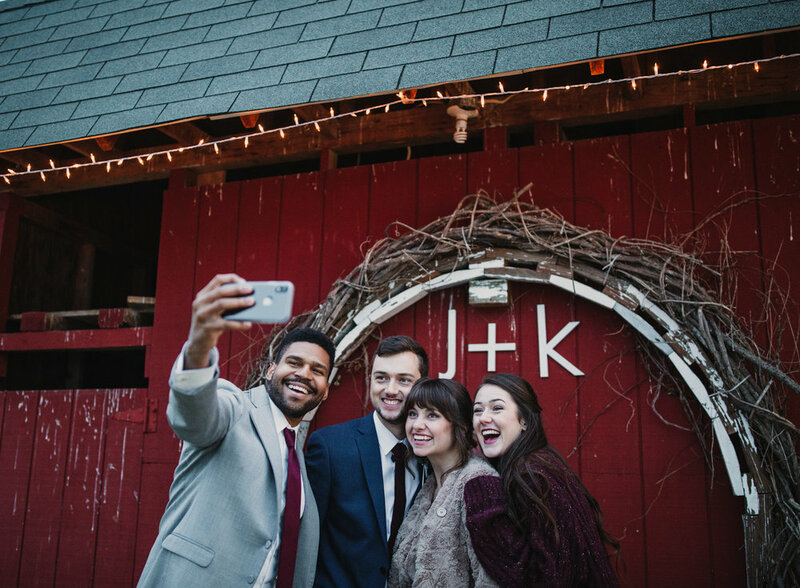 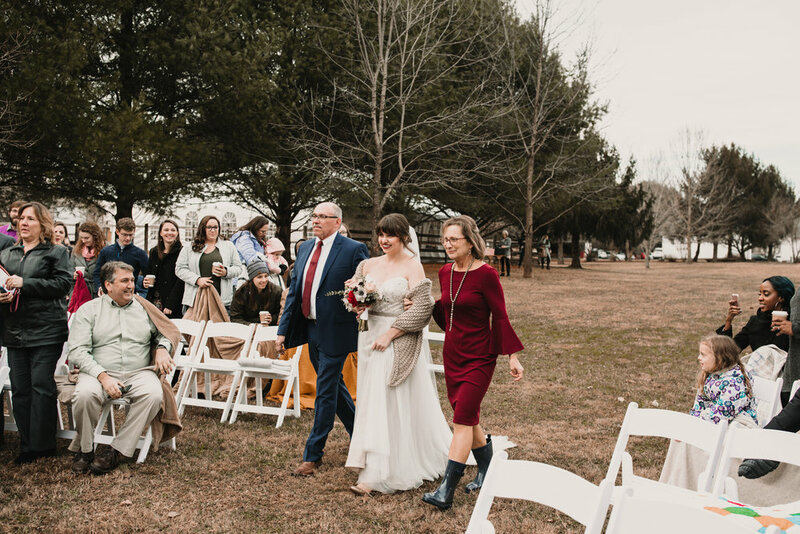 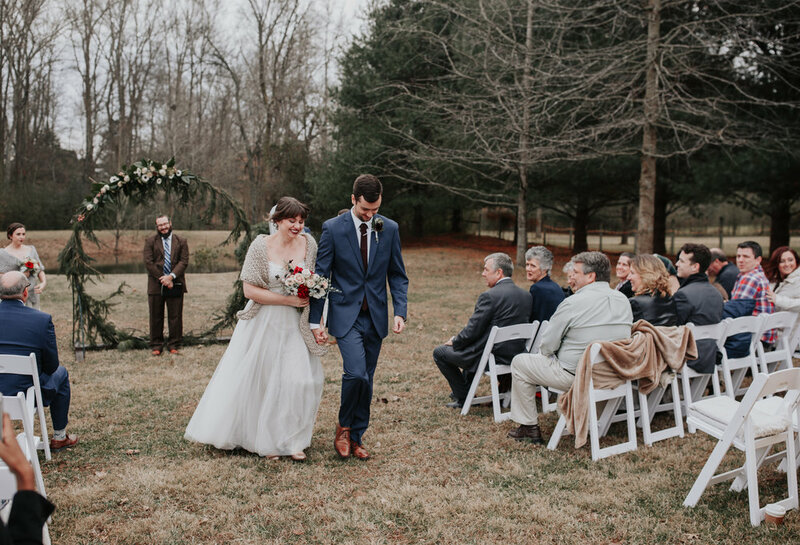 Rustic Wintry Backyard Wedding — Roots of the Rose Photo and Film Co.
Kirby and JP had such a sweet, family-oriented day! 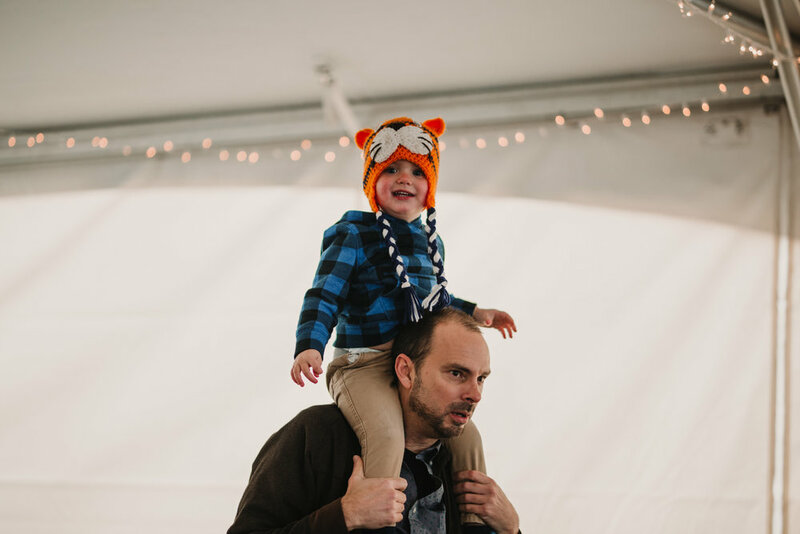 I absolutely loved getting to photograph her niece and nephew in the getting ready spaces. 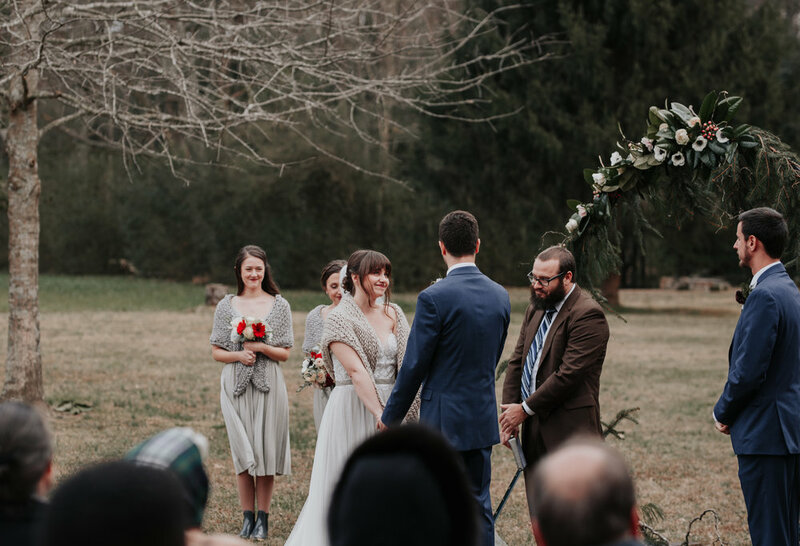 And the blankets they provided for the ceremony guests and yummy hot chocolate before seating! 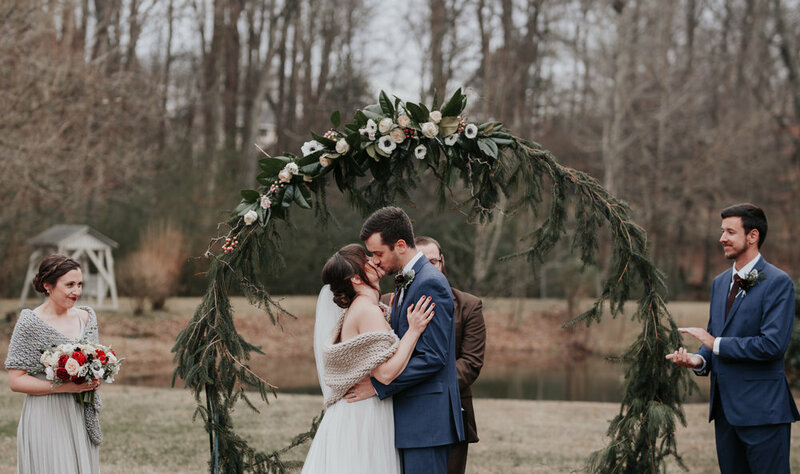 The lush pine and magnolia leaf florals were beautiful and made for such a gorgeous occasion! 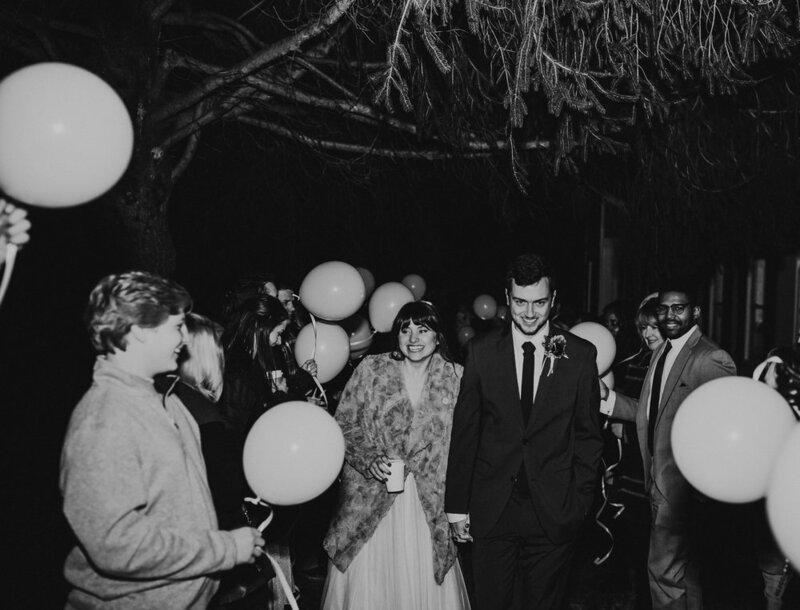 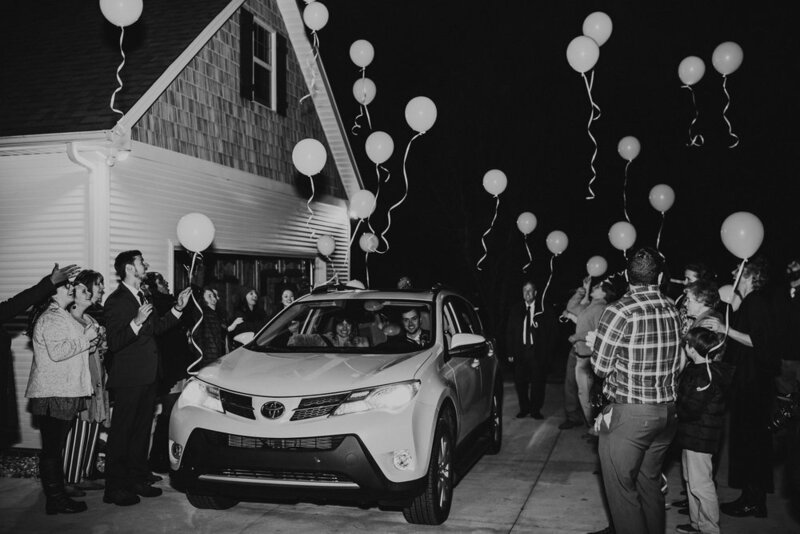 They also had a glowing balloon sendoff and the shots turned out so festive and unique!